Wings are a dime a dozen, or at least they used to be until they became popular, now the are more like $10 a dozen. Most places do fried wings which are almost always tiny to increase cooking speed and cost. Lately, I have mostly found wings disappointing, and I sometimes question whether they could possible be from a chicken and not a pigeon or sparrow. 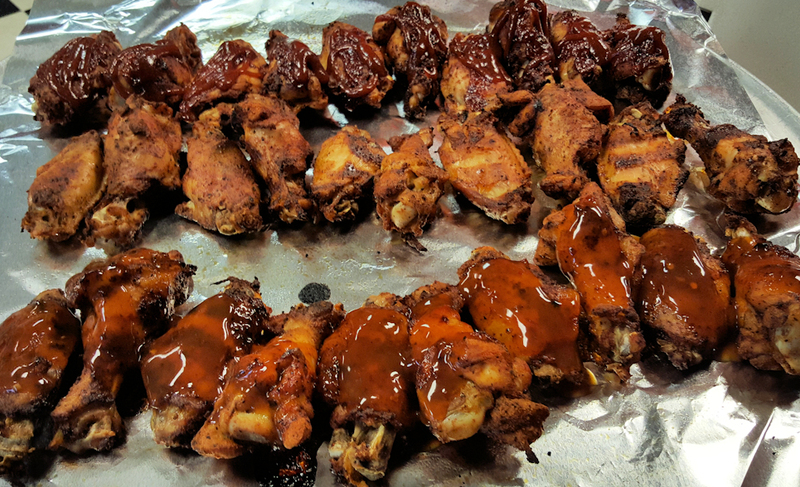 Three types of Pig on a Pie’s pecan smoked wings, mango habanero, bbq and hot Buffalo. Photo by Doug Deal. 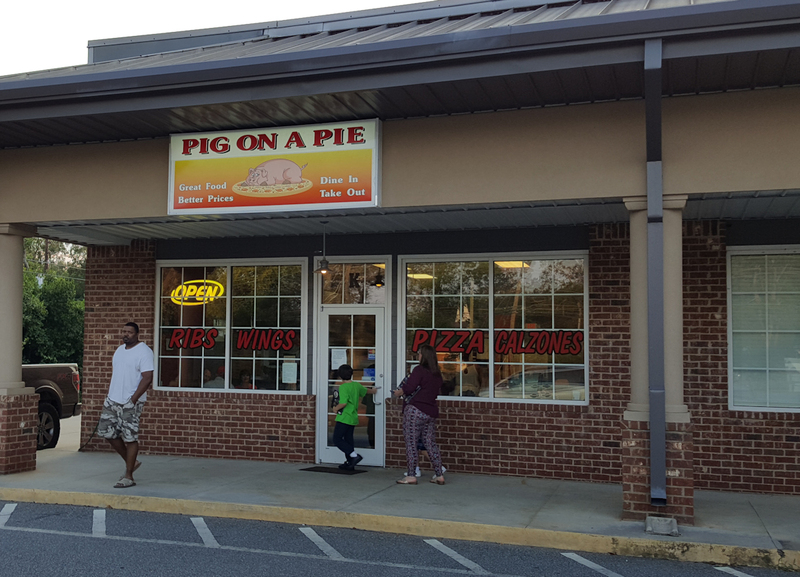 If you’ve had a similar experience, you should give Pig on a Pie in South Bibb a try. Of all of the wings places I have gone, they are among the best. Since they slow cook the wings in a smoker, they are huge and moist. The flavor goes beyond the sauce of your choice, the pecan smoke penetrates the meat all the way to the bone. The flavors available include the normal ones like Buffalo in hot or mild, bbq and teriyaki, but also more unique flavors like Carolina gold, honey mustard, Bourbon, sweet red chili and my favorite mango habanero. Mango habanero is probably too hot for most people, but if you like a little heat, the sweet fruity flavor cannot be beat. I would put those wings up against any in town. Pig on a Pie large cheese for the kids. We recommend the meat extreme, but don’t forget the bbq pizza. Photo by Doug Deal. Sizes range from 10 for $9.99 to 20 for $18.49 and 40 for $35.49 and if you are throwing a party they have 100 for $86.90. Keep in mind that these are larger than the microscopic wings that you might get elsewhere. There is actually meat to bite into and not just a bone to scrape it off of. For those that aren’t into wings, they also make a serviceable pizza. I say serviceable because it is by no means gourmet, but if you are throwing a party and want some large reasonably priced pies, you will get a good deal here. We like the “meat extreme”, which is regularly priced at $16 for a 14 inch. It feeds our family of four (two elementary school children) nicely. Pig on a Pie is a small restaurant that has limited dine-in as well as pick up and delivery. Photo by Doug Deal. Even if pizza and wings aren’t your thing, they also have ribs and pulled pork as well as various salads, calzones and “pizzasandwiches”. All is good quality, so every can find something they’ll like. There are also specials for those looking for a great deal on their website which change from month to month. In October, they had $2 off any pizza with a 20 piece wing order. With the big games of the Fall coming up, it’s a nice value. 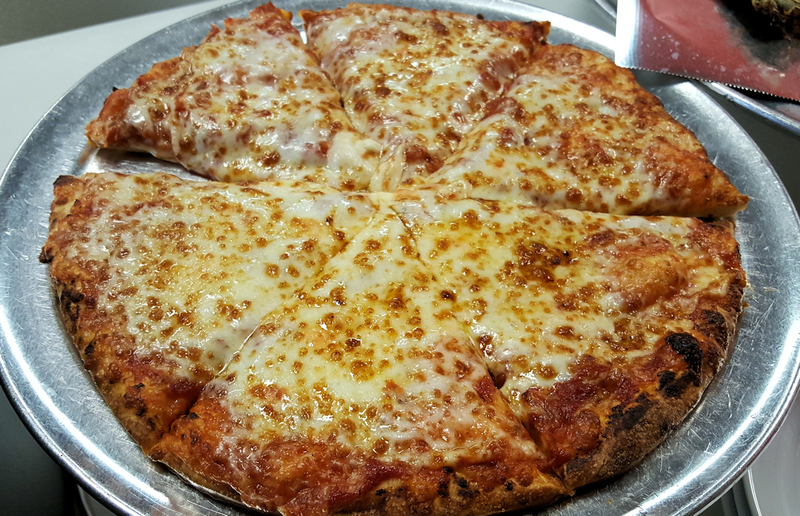 To order for pick-up or delivery, call (478) 781-3430.